Do you remember Dante Love? 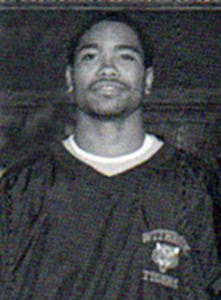 Dante Love graduated in 2005 and was inducted into the Hall of Fame in 2015. Dante Love attended Withrow from 2002-05 and was a three sport letterman (two each in football, basketball, and baseball). In 2004, as quarterback on the football team, Dante led the Tigers to a perfect 10-0 regular season record and the school’s first State Playoff appearance. 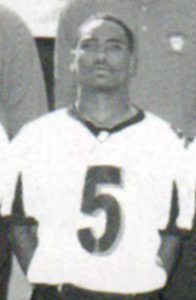 Dante threw for over 2,000 yards and 20 TDs, while rushing for 970 yards and 14 TDs earning him the Cincinnati Enquirer All-City quarterback for 2004. As team captain, Dante was a true leader of the team both on and off the field. Dante enrolled at Ball State University and immediately had an impact as a true Freshman as a receiver and punt/kick-off returner. In the fall of 2008, Dante sustained a cervical spine fracture in a game against Indiana University, ending his football career. 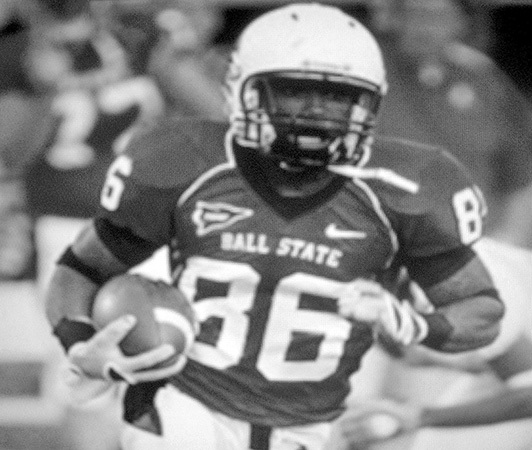 At that time, Dante held the Ball State record for career kickoff return yards and ranked second in both career receptions and receiving yards and was leading the nation in these categories. Offensive coordinator Stan Parrish hired Dante as a graduate assistant for the 2009 season and helped ensure Dante would finish his undergraduate degree. Withrow retired his #5 football jersey in 2009 and it is framed and mounted in the gymnasium. Dante resides in Los Angeles, California.